Mr. Ducommun directs all MC Consultants, Inc. consulting groups through dynamic leadership and strategic planning, guiding the organization to ensure continued growth and effectively cultivating key business relationships. Through his visionary leadership, Mr. Ducommun is committed to position TEAM MC to be recognized as an industry leader, committed to innovation while maintaining a corporate culture of excellence, performance and integrity. 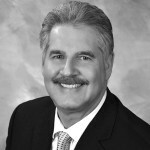 Mr. Ducommun is a veteran executive with vast national consulting experience. Over the past three decades Dan served senior level management positions with prominent national and international companies, including: Linear Corporation, Deloitte and myCFO. Such experience allows MC Consultants to expand its capabilities and continue to effectively serve its nationwide clients. Mr. Ducommun received his Liberal Arts and Sciences degree from Lake County College in Illinois. Mr. Ducommun serves on the Board of Directors for MC Consultants. Dan also serves as a Board Member on CLM’s Construction Claims Advisory Board. From 2010-2015, Mr. Ducommun served as a Co-Founder and President of the Construction Defect Community Charitable Foundation (CDCCF). Dan served as a member of CLM’s faculty in support of the Claims College Leadership School (2017 & 2018). In March of 2018, Mr. Ducommun was honored to be named a finalist for the 2018 Jerold S. Oliver Award of Excellence (25th Annual West Coast Casualty Construction Defect Conference).